Romney Watts, is from the central coast of NSW. Playing popular music with a soulful edge from the 80s through to the present. 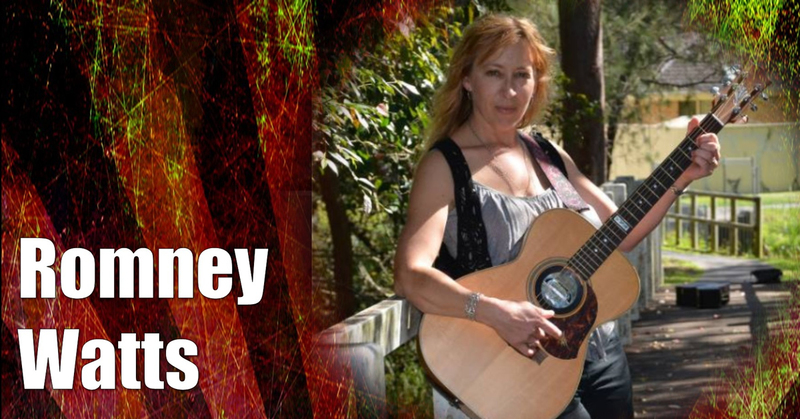 Romney provides a strong lead vocal and performs with quality acoustic guitars in the show. Romney developed her vocal and guitar technique playing blues and performing at blues festivals. She later played in a female duo, The Gems. Performing regularly at clubs and pubs throughout the Sydney region, the duo featured strong harmonies and played popular hits from past to present. More recently Romney has performed as a solo artist playing in some of the finest restaurant bars on the Central Coast.